We were up early. We had to be at the university, ready to start the meeting for 9:30. We ate and packed and then headed over. It was VERY COLD outside. Then we were at a Laurentian building that has Ministry offices, business offices and some conference space. Talk about blending of fields! We carted all our stuff up and set up again. On day three (read here about day two) we spoke more broadly about how the different pieces worked together. Steve Williams narrates this introduction to the InsightMaker model he developed for the project in consultation with economist David Robinson. This InsightMaker model shows cohorts’ eligibility for jobs in mining sector with education and employment factors. It also models population segments that are exiting the work force due to dropout and substance abuse issues. In this model we can see that while there may be large numbers of jobs available, communities may not have sufficient numbers of qualified employees to fill those jobs. Food security factors dramatically impact primary and high school graduation rates, thereby impacting the pool of labour qualified for extractive industries employment. Rather than investing in apprenticeship and trade school programs, we might better spend efforts ensuring adequate food security in the region to ensure that children stay in, and complete, school. You can adapt this model, or any other publicly-available InsightMaker model, by getting a free Insight maker account and cloning the model. Brianna Smrke has been working with the simulation team at SiG@Waterloo. 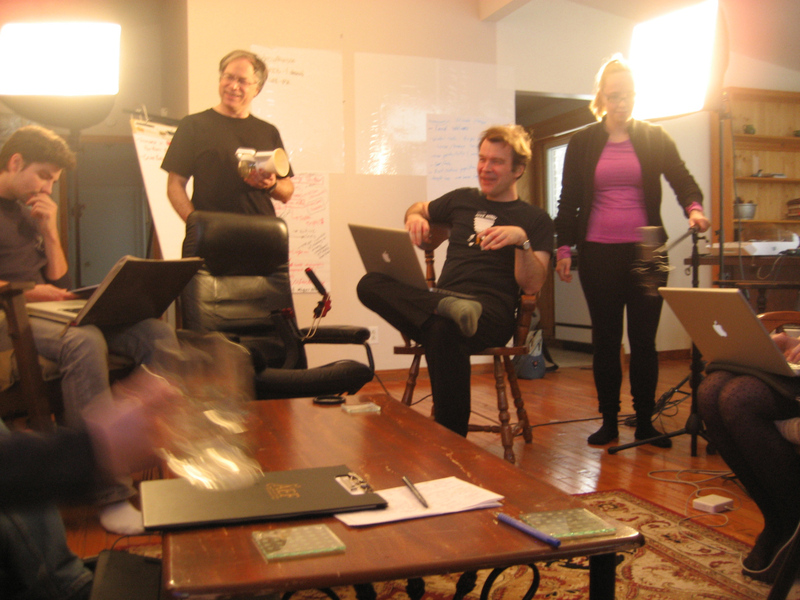 She blogged about our Sudbury simulation intensive at downwithvowels. We’ll be reposting her first-person accounts of those sessions, plus impressions of her current trip to India to visit the OaSiS Social Innovations Laboratory in Bhopal. Steve Williams narrates this introduction to the Northern Ontario Demographic and Income Trend Model he developed for the simulation project, in consultation with economist David Robinson. David Robinson: Here we model the case if things proceed as they have previously in Canada. The federal government and provincial governments are all trying to avoid this simple case. It’s relatively simple to extend this model to account for some more sophisticated policies intended to let local first-nations people use these developments.